What is Parental Restrictions on iPhone? Parental Restrictions also knew as Parental Control, or Restrictions is a feature in the all-new iOS 12 Screen Time that helps parents or guardians limit, control, block or manage specific features and apps that a child can or can’t access on the iPhone, iPad or iPod touch. It involves creating a passcode to prevent anyone else especially your kids from disabling this feature. There are about 9 (nine) features of iOS and Apple services that can be limited, locked or restricted using Parental Restrictions. Let’s see how to enable Parental Restrictions on iOS 11 and 12 iPhone. Step 1. Launch the Settings app on your iPhone, iPad or iPod touch. Step 2. Select the following “General > Restrictions”. Step 3. Click on “Enable Restrictions”. Step 4. Create a Parental Restriction passcode that you can remember when you want to disable Restriction from the device. Step 2. Scroll down and select “Screen Time”. Step 3. Tap on “Turn On Screen Time > Content & Privacy Restrictions”. Step 4. Type in a 4-digit passcode, and re-enter it to confirm. Step 5. You can now choose what type of content to restrict. If you are using a 4-digit passcode to unlock your device’s lock screen, then, the Parental Restrictions passcode you just created must be different from your screen lock passcode. If you forget this passcode in any way, you must completely reset your device to factory settings to remove the lock. We earlier mentioned in the concluding paragraph of Part 1 above that if a parent or anyone using Parental Restrictions forget his/her passcode, the device will be completely erased to remove the lock. However, the method to use and remove a restriction lock from your iPhone is your choice to make, but we highly recommend iMyFone LockWiper. iMyFone LockWiper is a third-party iPhone/iPad unlocking tool. It can remove every lock on an iOS device, like parental restrictions, screen lock, etc. This affordable tool can help you remove parental restrictions from your iPhone especially when you’ve never synced your iPhone on iTunes, or when running into numerous errors while using iTunes. Removes Parental Restrictions from iPhone, iPad or iPod touch without a password. 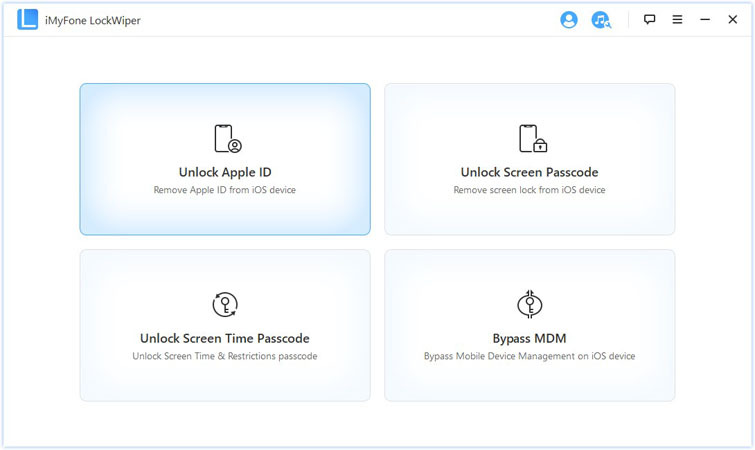 Unlocks every type of iOS device locks such as 4-digit passcode, 6-digit passcode, Touch ID, etc. Removes Parental restrictions from iPhone or iPad even when Find My iPhone/iPad is enabled. 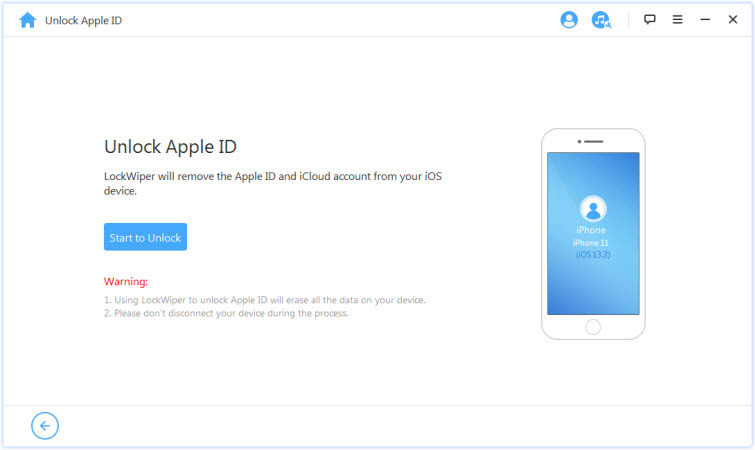 Remove iCloud account when you forgot the password and want to change to another one. iMyFone offers 24 hours – 7 days a week technical support for all clients using LockWiper. Step 1. Download and install iMyFone LockWiper on your PC. Then, launch the software and connect your iPhone or iPad to your computer using a USB cable. Step 2. Click “Unlock Apple ID” mode. Step 3. Click “Start to Unlock” tab to remove all the settings on iPhone including restrictions passcode. As children grow to maturity, parents should be aware of the dangers uncontrolled use of the internet, social media, and exposure to illicit content. Therefore, use the following features of Screen Time to protect your children. Downtime would help you set a schedule that would determine when your children can and can’t use their iOS device. For example, you can restrict iOS device from 10:00 p.m. to 7:00 a.m. as bedtime. The App Limit allows you to set a limit on the amount of time your child can spend using a certain app. You can use this feature to set time restrictions on all your apps especially the social media apps. You can also set “Always Allowed Apps” to let the children use some of the apps frequently. Content restrictions is one of the features that help parents to limit a child from accessing inappropriate contents on iPhone, iPad or iPod touch. You can do stuff like restricting music, websites, App Store purchases, deleting apps, and disallow access to some other features and contents. What is an iOS Restrictions Passcode Cracker? How to Use? What Does Enable Restrictions Mean?